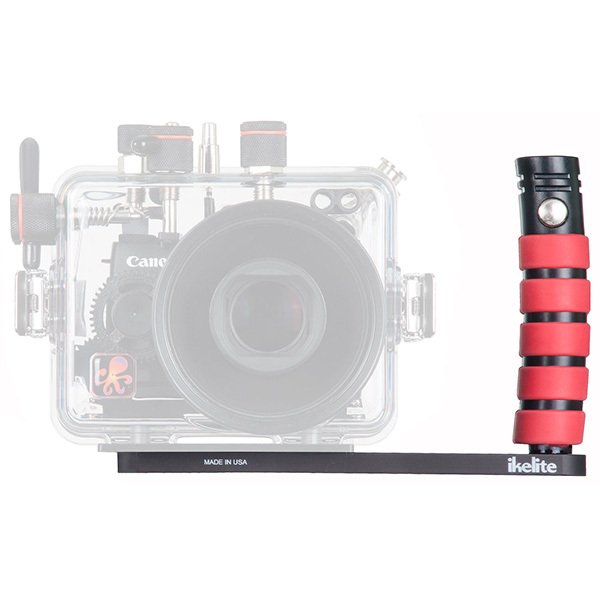 Fits Ikelite Compact Digital and ULTRAcompact Digital Still housings and non-Ikelite housings for compact digital still cameras featuring a central 1/4-20 bottom mount. Hard coat anodized aluminum tray with comfortable rubberized handle grips. We know every ounce matters in travel, so we shaved some extra weight off our previous Tray with Handles (Product Number 9523.61). 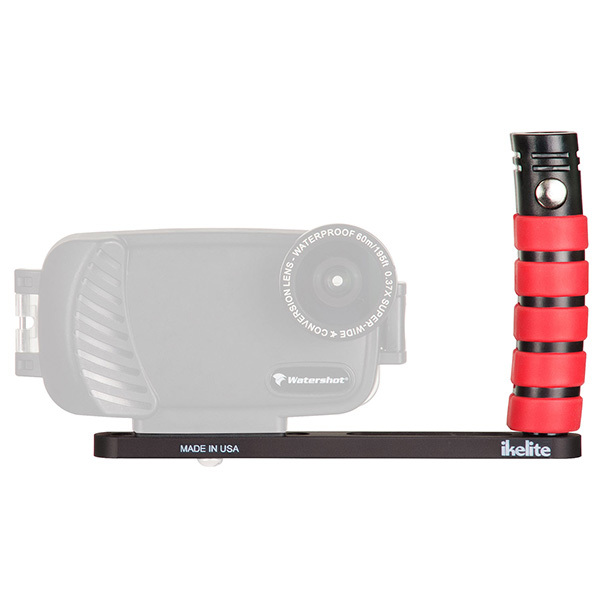 Mounting points and hardware are provided for both Ikelite and non-Ikelite housings for compact digital cameras. A central 1/4-20 threaded mounting point allows for the attachment of a tripod directly to the bottom of the tray. 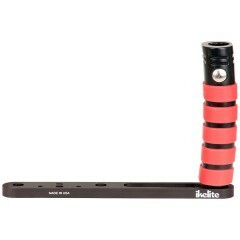 The Ikelite Quick Release handle has become a favorite over the years for attachment and release of your lighting arm at the touch of a button. Accept no substitute. The tray with release handle comes with the necessary hardware to mount to Ikelite housings featuring female mounting points with 3" (76mm) spacing. Ikelite housings below serial number 37100 with male threaded tray mounting bolts on the bottom require 9523.09 Tray Spacer, sold separately.